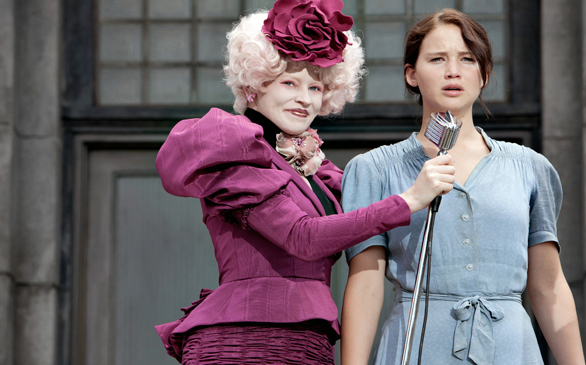 Effie (Elizabeth Banks, left) and Katniss (Jennifer Lawrence) in The Hunger Games. The Hunger Games keeps accumulating dollars as I write this. For the second week in a row since its release, the movie has reached the top of the box office again after earning $61.1 million and making its domestic gross to $251 million. The Lionsgate flick surpassed $250 million in only 10 days, which is the fastest ever for a nonsequel. This article has been viewed 1059 times.